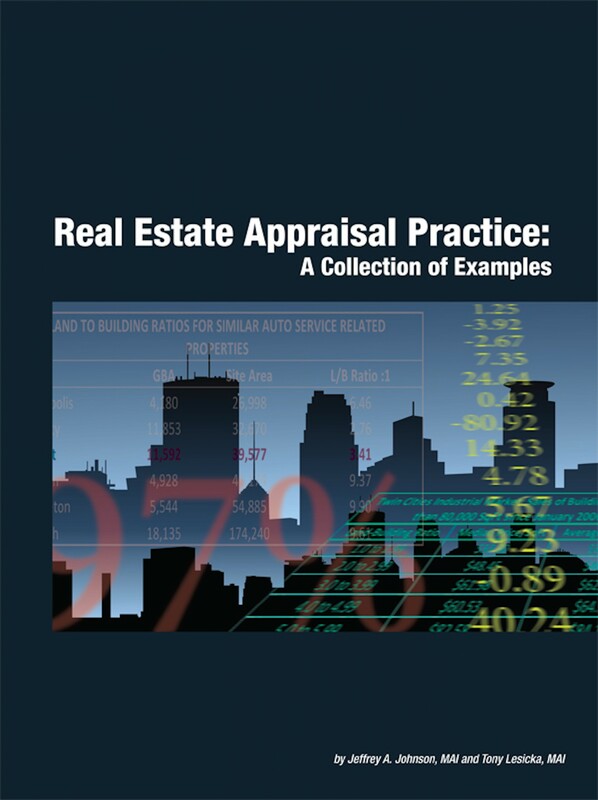 Real Estate Appraisal Practice: A Collection of Examples is an educational book that consists of a collection of 142 examples based on short excerpts from actual real estate narrative appraisal reports. It gives a current, real world snap-shot of the appraisal profession. The only changes made to the examples relate to formatting and to altering some of the facts to make them anonymous and preserve their confidentiality. The format for each example consists of a Brief Synopsis, the Presentation of the Example, followed by Author’s Review Comments. The examples are presented to demonstrate the methods, processes and ideas that they represent, and are supplemented with a brief assignment synopsis and subsequent author comments on each example. The book is organized into chapters that follow the typical structure of most narrative appraisal reports, with several examples in each chapter, though the bulk of them are in the valuation sections. Real World Examples – In contrast to many appraisal books in publication that deal with the more theoretical aspects of the subject matter, readers of this book will gain knowledge of how their peers are actually solving real world appraisal problems and how they are organizing and presenting their findings. Real estate valuation is without question a profession of experience, and what better way to quickly gain experience than to lift back the curtain and view what others in the profession are actually doing. Peer Review – With as hot a topic that peer review is becoming in the appraisal profession these days (e.g. the efforts of the newly established Appraisal Practice Board to evaluate recognized methods and techniques), this book is a must have for every appraiser’s library.